Aaaandddd I’m back with a bang. Or a dynamite recipe, I should say. 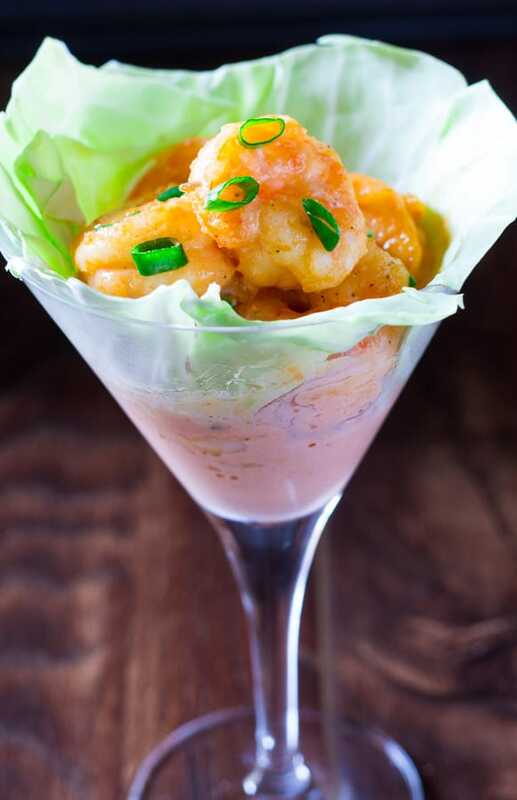 Because today, my lovely friends, I’m going to teach you how to make Dynamite Shrimp! It’s 9:43 am as I write this post, and I love Dynamite Shrimp so much, that just looking at these pictures I’m craving for some. That’s how good they are. 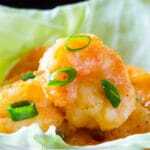 Anyway, from then on, I started craving for shrimp, particularly Dynamite Shrimp. I would have never thought to put the words shrimp and crave in one sentence, until a few months ago, because of that fateful night when I had my first taste of Dynamite Shrimp. Fateful. Am I dramatic or what? :p Also that sentence was a bit awkard grammar wise. But whatever. So I first started by making this Honey Garlic Shrimp, because it seemed fairly easy and OMG so delicious. Also, I’d eat anything that involves honey and garlic. And delicious it was! And then I decided, I needed to make Dynamite Shrimp, because what if one day I was stranded on an island and without a PF Chang’s to provide me with Dynamite Shrimp. Okay, okay, if I was stuck on an island, I would probably be crying and trying to catch a signal on my phone, not thinking about Dynamite Shrimp. Unless, I was stuck on the island for days, then I’m sure I would see Dynamite Shrimp in a mirage instead of water. Hmmm, are we talking about an island here or a desert? Okay, I digress. But seriously, I like to be prepared and know how to make my favorite recipes at home, just in case I’m not able to get them from a restaurant. So I decided to learn how to make Dynamite Shrimp at home. For emergencies, you know. 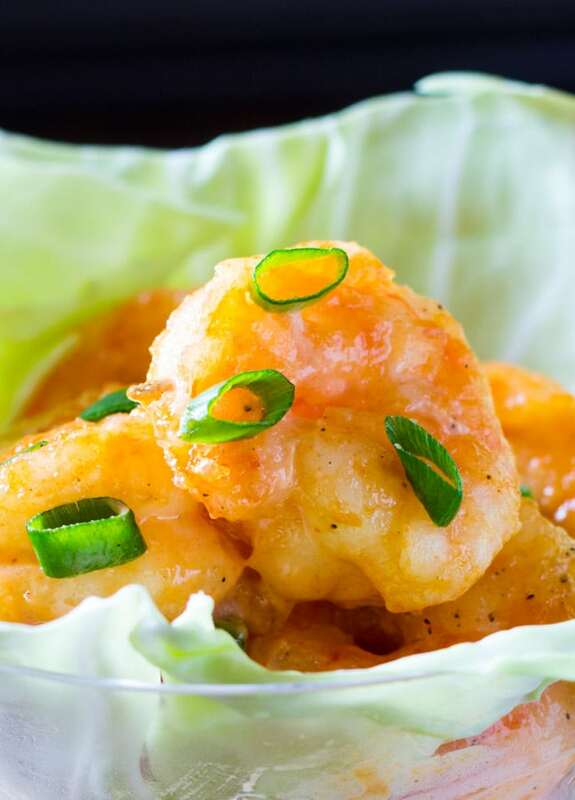 Learn how to make Dynamite Shrimp - Crispy fried shrimp coated in a spicy tangy mayo sauce! A perfect recipe for your favorite appetizer. Wash the shrimp, and drain on kitchen paper. Pat dry with kitchen paper so that the shrimp are fairly dry. In a medium sized bowl, combine the batter ingredients, and whisk. Add the shrimp and mix well until coated. Heat oil in a large pot and fry the shrimp for about 1-2 minutes. To make sure the oil is at right temperature, first test it by adding a bit of the batter to the oil. If it sizzles, it means the oil is at the right temperature. Fry only 2 or 3 shrimp at a time in order to maintain the temperature of the oil. Drain the shrimp on kitchen paper. In a medium sized bowl, combine the sauce ingredients and then add the fried shrimp to coat with the sauce. Thank you so much for this!!!! ?❤️??? Excellent. Thanx for the recipe. I love Dynamite Prawns. I tried this recipe and wow it was better then the restaurant one. Thanks for sharing this yummy recipe. Wow these sound so delicious, I love shrimp! I haven’t been to a PF Changs in forever since there isn’t one close to us, so this is basically saving my life right now. Thanks! Wow, this Dynamite Shrimp really impresses! Looks incredible! Very interesting combination of ingredients. I really like. Very beautiful presentation. I definitely want to try your recipe, and I’m sure it is very tasty! Thank you for sharing this great and interesting recipe! Oh this looks perfect!!! We are craving PF Chang’s but trying to eat at home more often! I am making my grocery list now and we will definitely be having this for dinner this week! I’m curious, by ‘hot sauce’ what exactly are you referring to? I have several different ones but want to use just the right one!! What chilli sauce would you recommend to get the authentic PF Changs taste? Hi Syed! You can use any hot sauce such as Tobasco sauce, but I like to use sriracha sauce for these dynamite shrimps. Hope this helps!